a. MOAs consist of airspace of defined vertical and lateral limits established for the purpose of separating certain military training activities from IFR traffic. Whenever a MOA is being used, nonparticipating IFR traffic may be cleared through a MOA if IFR separation can be provided by ATC. Otherwise, ATC will reroute or restrict nonparticipating IFR traffic. b. Examples of activities conducted in MOAs include, but are not limited to: air combat tactics, air intercepts, aerobatics, formation training, and low-altitude tactics. Military pilots flying in an active MOA are exempted from the provisions of 14 CFR Section 91.303(c) and (d) which prohibits aerobatic flight within Class D and Class E surface areas, and within Federal airways. Additionally, the Department of Defense has been issued an authorization to operate aircraft at indicated airspeeds in excess of 250 knots below 10,000 feet MSL within active MOAs. c. Pilots operating under VFR should exercise extreme caution while flying within a MOA when military activity is being conducted. The activity status (active/inactive) of MOAs may change frequently. Therefore, pilots should contact any FSS within 100 miles of the area to obtain accurate real-time information concerning the MOA hours of operation. Prior to entering an active MOA, pilots should contact the controlling agency for traffic advisories. d. MOAs are depicted on sectional, VFR Terminal Area, and Enroute Low Altitude charts. One of my pet peeves is a misunderstanding about Military Operations Areas which leads many pilots and air traffic controllers to believe that any VFR aircraft flying inside one must be a “knucklehead” (a controller’s description!). From an ATC or military pilot perspective, perhaps this is the case. After all, what possible justification could a non-military pilot have for going into one of these MOAs when it’s active? Just go around it! Right? “Look left!” The Extra 300 flying an upline. 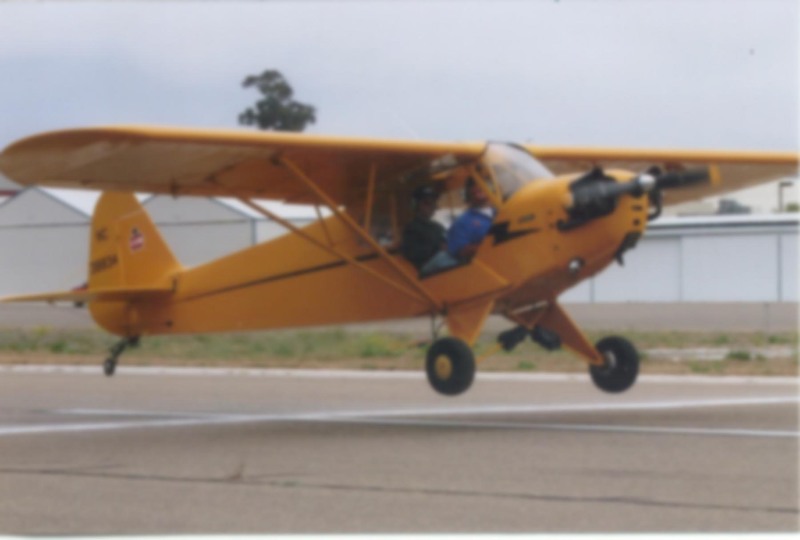 As I said in a reply to this Jetwhine article, I fly a lot of high performance aerobatics in a south Orange County (Calif.) area known as the Blockhouse. There is no protective MOA on the chart for us, and we often have climb and descent rates which exceed 15,000 fpm. Consider: an Extra 300 pulling into a vertical upline at 180 knots TAS is traveling straight up at 18,228 fpm. We’re out there with minimal fuel flying very high performance maneuvers while trying to teach students. I’ve seen as much as +10G on the accelerometer, and as low as -6G. Inverted flat spins. Tumbles. Rolling turns. And I’ve given and received formation and aerial interception training. So I’m quite familiar with the sort of high performance maneuvers which make it hard to watch for other traffic. Those who say non-military pilots should simply “always stay well clear” of an active MOA irk me because it ignores many practical matters regarding this special use airspace. First, what if I’m trying to get to Inyokern, Tehachapi, or Kern Vally airports, all of which lie in the middle of the Isabella MOA? You literally cannot get there without flying through a MOA. Half the high desert airports around my neck of the woods are in the middle of MOAs. Pull out a sectional and look at them. Second, what if weather dictates a deviation which takes me through a MOA? I’ve encountered this scenario several times. I’m ferrying a Pitts S-2B which has a 23 gallon fuel tank and burns ~13 gph. Should I deviate another 75 nm out of the way to go around it? Many of these MOAs are in hot, high desert areas here in the southwest, and often thunderstorms, terrain, fuel, turbulence, wind, or other factors come into play, depending on the aircraft in question. Finally, if the activity is dangerous enough to non-participating aircraft (a gunnery range, etc. ), it should be a restricted area. Now that’s an airspace I wouldn’t want to fly into if it was hot, even if I legally could. I’ve seen active restricted areas at night and the tracers were bright enough to light up the sky. The sound of the artillery could be heard even above the noise of the aircraft’s engines! But MOAs are not restricted areas. And there’s a reason for that. Having said that, I don’t take flying into a MOA lightly. I know there are high performance military aircraft out there doing their thing. I know budgets are tight, their flying time is minimal, and I don’t want to be the cause of their having to break off some training exercise simply because I was in the way. But keep in mind, the airspace is JOINT-USE. We do have a right to be there, and there might be a darn good reason for our presence as well. Up here in the White Mountains of NH, we are treated to our very own “airshow” at least twice a week. I believe they are F-18’s. Used to have Worthogs using this airspace, but they closed down our airbase. Sometimes the Canadians use this MOA to practice their maneuvers. Always fun to watch!